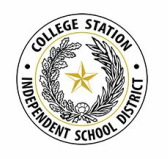 College Station ISD is looking for energetic, committed college/university students to be tutors in our Advancement Via Individual Determination (AVID) classes. These classes provides academic instruction and tutorial support to students and prepares them for eligibility for four-year colleges and universities. Please read the AVID Tutor Expectations to determine if this position is right for you.